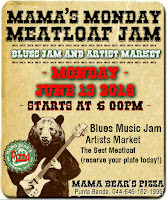 Wild Pack Hosts a Blues Jam called "Meatloaf Jam" at Mama Bears Pizza in Punta Band BC. 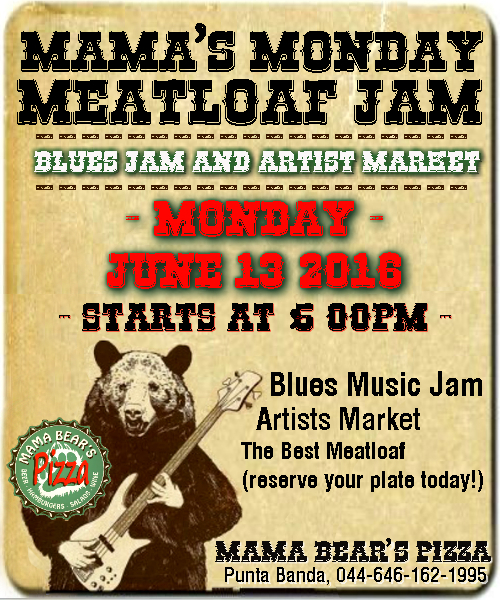 Come out and enjoy the Coolest cats jamming the Blues starting Monday - June 13, 2016. 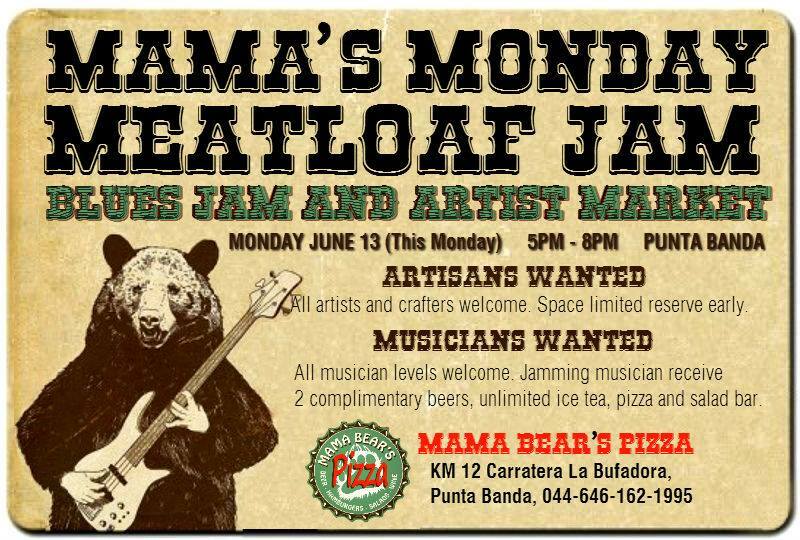 All musicians are welcome at the weekly Meatloaf Jam, being held at Mama Bear's Pizza in Punta Banda, every Monday afternoon from 5PM to 8PM. It is their world famous Meatloaf. Monday, that is now adding a community blues jam and artists market. FUN! FOOD! ART! BLUES JAM!